Make culture part of your 2019 resolution and start it all at Vancouver Symphony Orchestra’s New Music Festival, which looks bigger and better than ever before. The annual event, entering its sixth straight year, explores the state of our world today, diving into themes like “loveliest apocalypse in musical history” and a meditation on birdsong. The musical celebration will begin on Wednesday, January 16, when Grammy-nominated a cappella quartet New York Polyphony performs Missa Charles Darwin. Thursday, January 17, includes Vancouver’s own Standing Wave, in a program of largely Canadian works for chamber ensemble at the Christ Church Cathedral. 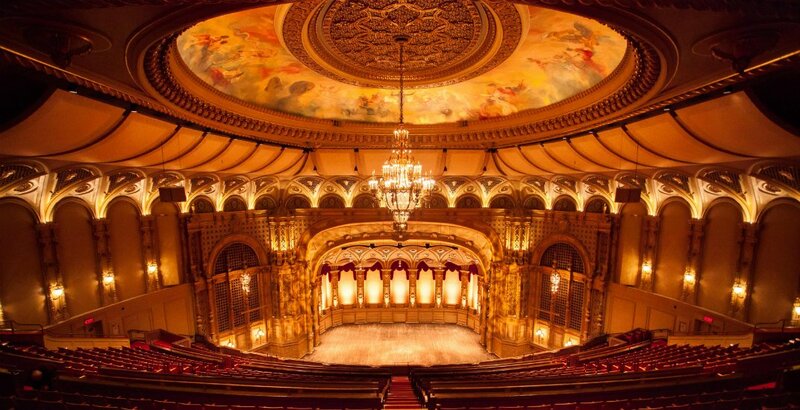 The VSO New Music Festival will run from Wednesday, January 16 to Saturday, January 19 at the Christ Church Cathedral and the Orpheum Theatre. Tickets for shows are available online starting at $28 for a single ticket ($12 for students). Festival passes, allowing attendees to watch all performances from January 17 to 19 are also available for $62 ($24 for students). Win a pair of passes to @VSOrchestra’s #NewMusicFestival from Jan 16-19 via @DailyHiveVan http://ow.ly/L7iA30nhBR0 RT to enter! Contest entries will be accepted from the time and date of publishing until 11:59 pm on January 14, 2019. One winner will be chosen at random and contacted through the platform they used to enter. Tickets: Festival passes can be purchased for $62 ($24 for students); single tickets are also available.